Really now… this is very cool. I just love finding Finger Lakesy jewelry that isn’t in the shape of a lake (because… ya know… the lakes doesn’t exactly look pretty out, of context…). 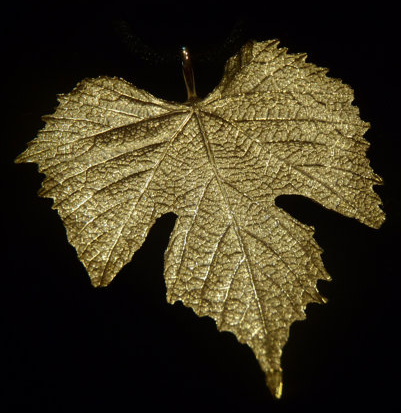 This is a grape leaf necklace made right here in the Finger Lakes, in Bath. The necklace is for sale on Etsy.com from jewelry artist Lorrie Skelly. 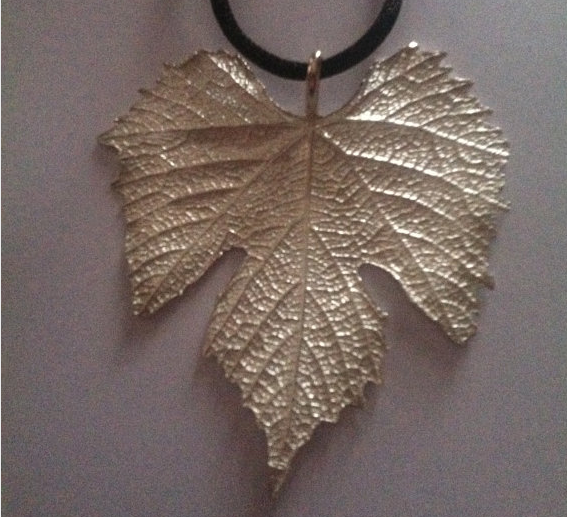 The grape leaf is made from PMC3 clay which is .999 silver. Thining the clay to a paint like consistancy, several layers are painted on an actual greape leaf from a local Finger Lakes vineard. After it’s fired in the kiln, the leaf is burned off leaving an exact print of the grape leaf. Each leaf varies in size and shape. The cord is black silk.